The Eagles had 35 points to hold off Moapa Valley (40) for the win. Valley was third with 66, followed by Pahrump Valley (69), Chaparral (150) and Western (165). Moapa Valley’s Emma Humes won the 3.1-mile race in 21 minutes, 24 seconds, and teammate Shelby Olson was second in 21:30. Valley’s Frida Reyes finished third in 21:47. Audrey Selinger led Boulder City and finished fourth in 23:01. 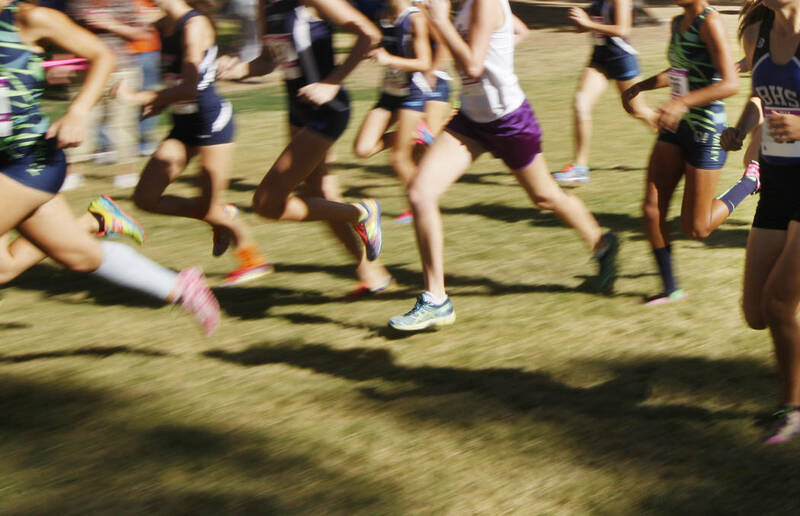 At Faith Lutheran, the Crusaders had five of the top nine finishers and won a five-team meet. Faith Lutheran finished with 28 points. Desert Pines was second with 42, followed by Shadow Ridge (63), Arbor View (99) and Eldorado (121). Cimarron-Memorial’s Olivia Garcia won the 3.1-mile race in 19:04.1. Desert Pines teammates Jazmin Felix (19:09.7) and Nayeli Perea-Barco (20:36.5) took the next two spots. Faith Lutheran’s Alexi Johnson was fourth in 20:49.4.